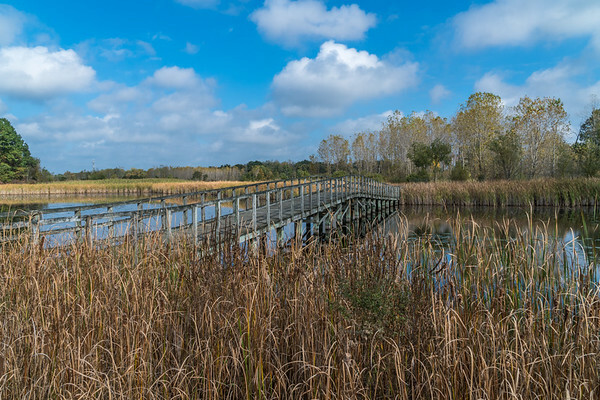 Crosswinds Marsh is a beautiful preserve spanning over 1000 acres of woodland, ponds, and wetlands. The park is a rich, natural habit for hundreds of local and migrating species and provides a quiet place to walk and be out with nature. There’s no way you could guess that this was all created in the last few years. It was a common practice in the previous century, to create suitable farmland by putting pipes in the ground and cutting channels to drain wetlands. This practice dried out the rich soils and allowed farm machinery to work the land. The farms created on this farmland made the Detroit area once known as the breadbasket of the east. Little of the original forests and wetlands remain in southeast Michigan. Flying over this part of the state, all you see are flat fields stretched out to the horizon. However, as this park shows, when you remove the drain tiles, contour the land a little and add native plants — nature comes roaring back. 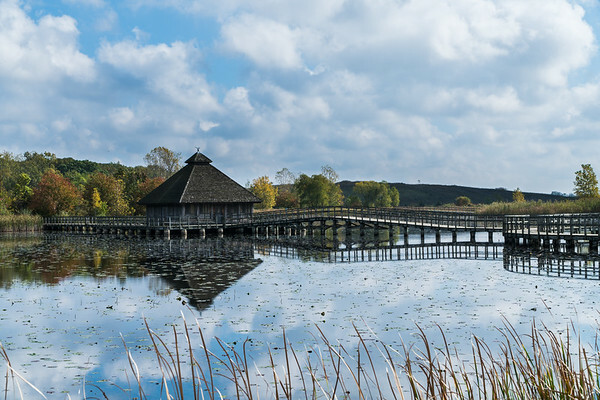 And with Crosswinds Marsh, it creates an oasis of natural beauty. 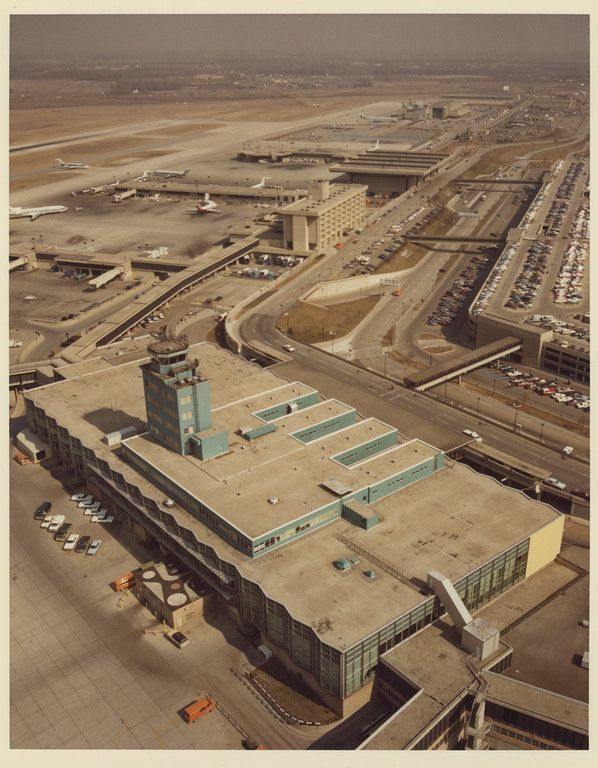 In the early 1990s, Detroit Metropolitan/Wayne County Airport (DTW) needed to expand to meet the needs of the metropolitan area. 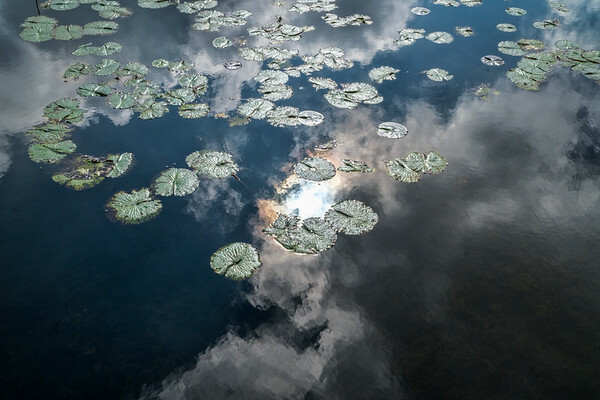 Because the expansion would eliminate existing state protected wetlands, the project required replacing (or mitigating) the lost wetlands on another property. To fulfill this requirement, the county created Crosswinds Marsh just 6 miles south of the airport. This park is now known as one of the largest man-made wetlands in the country. The project restored over 150 acres of historical wetland habitat by recovering farm fields that had themselves once been natural wetlands. Once the drain tiles were removed and the water restored, the area was planted with native wetland plants and trees. Endangered wetland species were transplanted from airport development area to the preserve to take root. 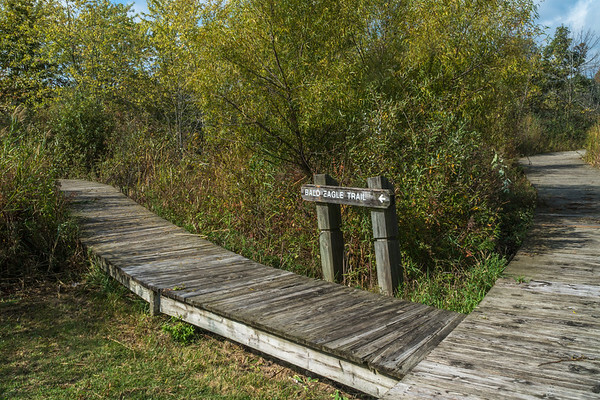 The final steps in creating the park were to build a series of boardwalks, fishing platforms, and a raised picnic pavilion to give the visitors an intimate view of life in the wetland. 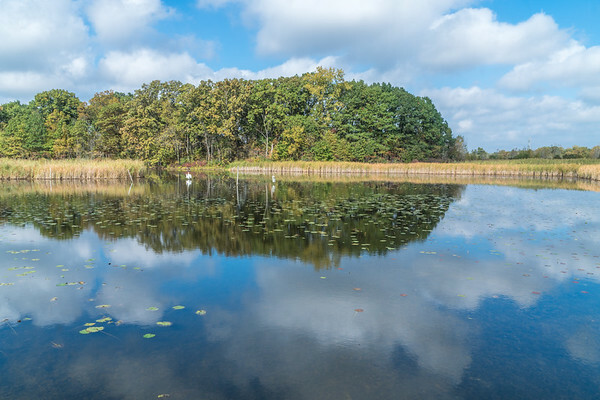 Many “man-made” wetlands fall far short of their goals. Usually, this is due to the limited size of the mitigated land. When just 5-10 acres of wetland is created in the corner of a field, it’s not able to sustain the species needed to create a full habitat. 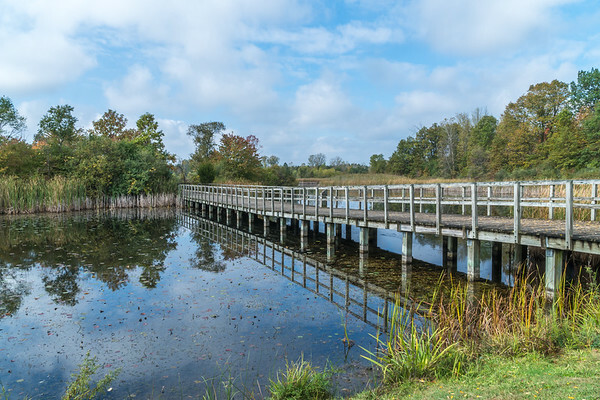 At Crosswinds, because this project was done on a much larger scale, covering over 1000 acres with almost 200 acres of wetland, the site is a great success and has created a sustainable habitat. As a measure of its success, projects monitoring the site have counted over 200 species of birds, 170 species of plants, 20 fish, 30 mammals, 21 reptiles and amphibians, and 70 species of butterflies and dragonflies living in or visiting the preserve. And the preserve now provides recreational and educational opportunities for more than 15,000 visitors each year. At a local photography meet up I had spoken to some other photographers about local parks and Crosswinds came up. They told me how great this park was, so it topped my list of places to visit. At the time did I not know its history or how diverse the area was. Also, I did not get the reference/light pun of the park’s name, but the care that has been given to the park shows the dedication that the those that created this natural area gave to this project. I stopped at the park on a gorgeous mid-fall morning to have a look around. There were only a few other people in the park that day, so it seemed as though I had the park to myself. Walking past the main entrance I was greeted with the first of many raised boardwalks across the wetland. Frogs, turtles and a host of swans cruised around the pond and creating a peaceful and serene atmosphere. The photographers told me that there were Bald Eagles living in the preserve. Arriving in the late morning I knew that I was too late to see the eagles. However, there was enough diversity at mid-day in the late mid-fall animals that id made up for missing out on them. 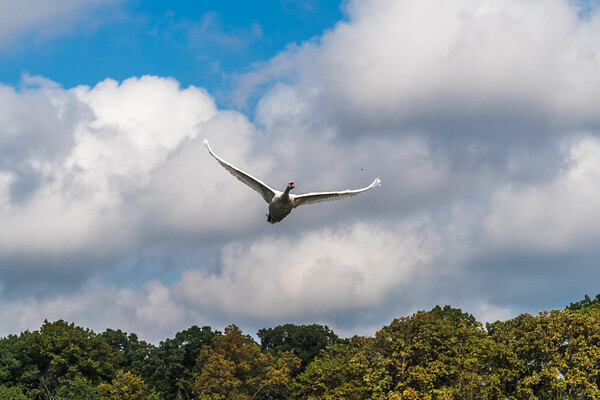 While crossing one of the bridges in the middle of the park, a huge Mute Swan flew right overhead. It made me think of the passenger jets taking off just a few miles to the north. 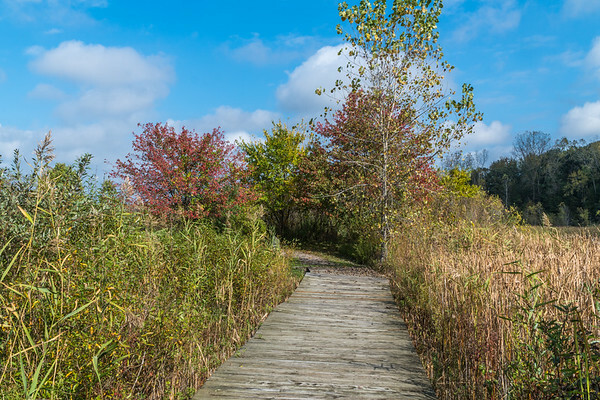 I spent about 90 minutes exploring Crosswinds Marsh that day and as a photographer, there were plenty of great scenes to capture, and as a naturalist, it was great just to enjoy the expertly restored natural setting. This is a place I’m glad I found and will be eager to see how it matures over the coming seasons. 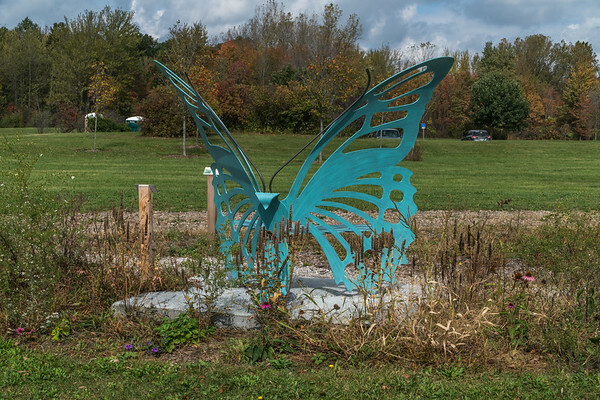 As the trail returned to the parking area, it took me past the sculpture & wildflower garden. 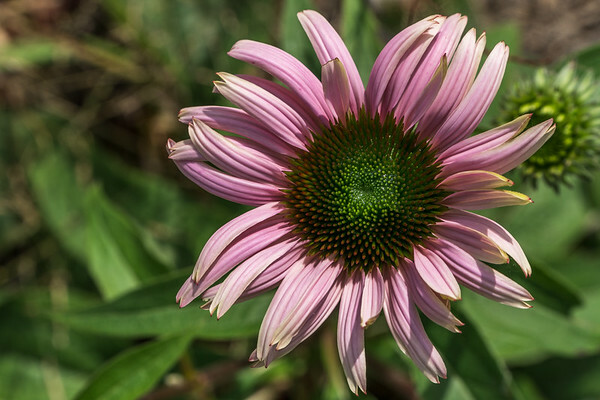 With autumn well underway, there were only a few flowers left to show the garden. I could tell that it was a well-designed area and I’ll be back in the spring to see what comes into bloom next year. Crosswinds is a stunningly beautiful park and I’m looking forward to visiting it many times throughout the seasons. It’s great to see what can be done when people really put the proper effort into reestablishing a natural habitat. Here’s a copy of the park map from Wayne County parks. 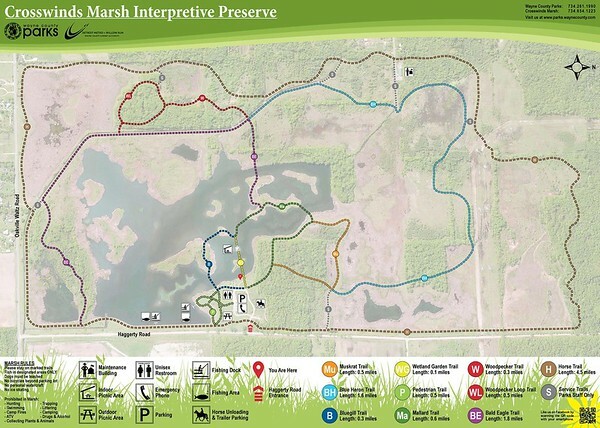 Crosswinds Marsh is located in a rural farming area SouthWest of Detroit, MI. The main entrance is off Haggerty Rd, between Willow and Oakville Rd. If you’re heading there from I-275, head south of Detroit Metro airport and take the Huron Rd exit and head south on Bell Rd to Willow Rd. Head west to Haggerty Rd and then south to the park enterance.